Cinoptics is a leading manufacturer of Augmented Reality and Virtual Reality solutions and have been serving the industry for more than 17 years. The Company specialises in producing high-end Head/Helmet Mounted Displays, Handheld, Virtual Binoculars & Virtual Microscopes with the most flexible electronics platform and highest quality optics in the industry. In addition to their off the shelf (OTS) products, Cinoptics’ OEM Service enables customers to cost effectively create their own Near to Eye applications. Cinoptics can help customers find the optimal solution for their requirements. 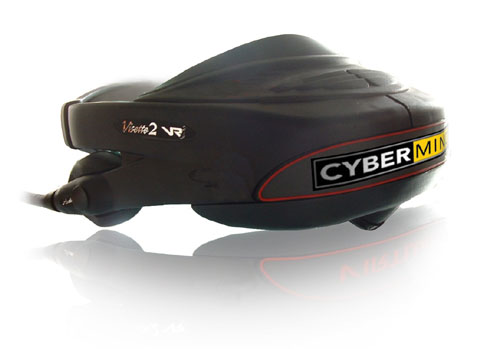 In 1997, this company was founded by entrepreneur Vincent Graham under the name of Cybermind Interactive Nederland. As of September 1st 2014, Cybermind changed its name to Cinoptics, to emphasize the focus on producing high quality optronics. The company's innovative solutions serve professional Training and Simulation environments in Virtual and Augmented Reality. Cinoptics works independently as well as commissioned for several companies worldwide and they constantly invest in their collaboration with clients, partners and resellers. Cinoptics developed the AIRO series especially for Augmented Reality applications, particularly effective in handsfree procedures. The lightweight AIRO Biocular HMD (Head Mounted Display) is the optical see-through solution for applications that involve (medical) training and simulation, navigation, maintenance support, logistics and more. Cinoptics developed the AIRO series especially for Augmented Reality applications. 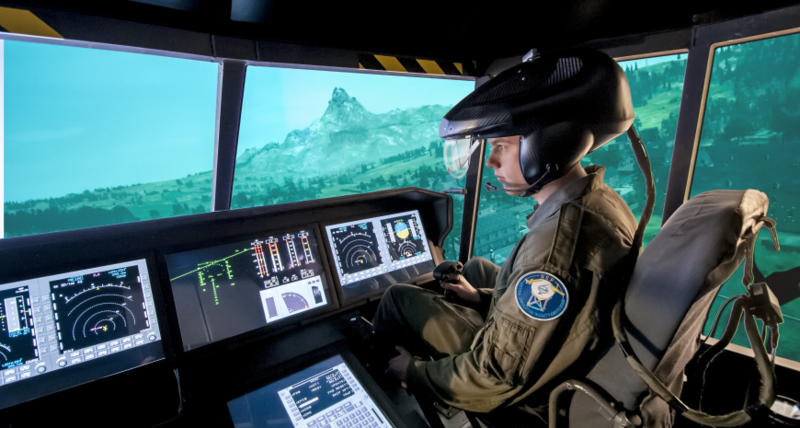 The AIRO Helm Helmet Mounted Display is the optical see-through solution for applications that involve training and simulation, navigation, maintenance support and logistics under various conditions. AIRO II is an Optical See Through HMD based on OLED Technology. The lightweight AIRO II has been developed for Augmented Reality applications that involve training and simulating, medical navigation, maintenance support, logistics and more. Cinoptics introduces the versatile COBALT. 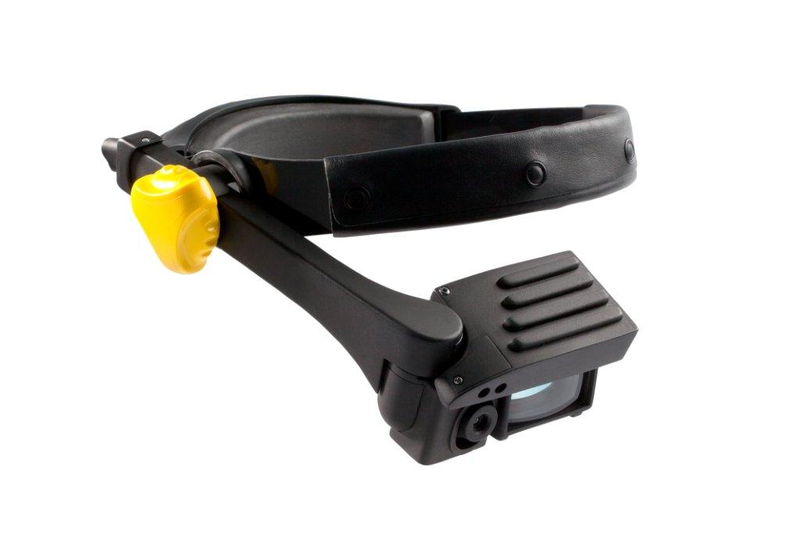 This OLED based Head Mounted Display with 60 degrees Field of View can perform with various optics, cameras and casings. Furthermore, it can be customized to meet specific requirements. COBALT will allow efficiency and cost-reduction in a variety of applications for the military, civil and medical markets. DUSK has been developed for enhanced, full colour Night Vision applications. The design is based on in-depth knowledge of HMD in real aircraft use and the effects of HMD properties on pilot performance. The lightweight helmet mounted binocular unit accurately replicates the performance of real NVGs. ARGON is Cinoptics’ Simulated Virtual Binocular for professional Virtual and Augmented Reality applications. ARGON handles variable inputs in a fast and convenient way. 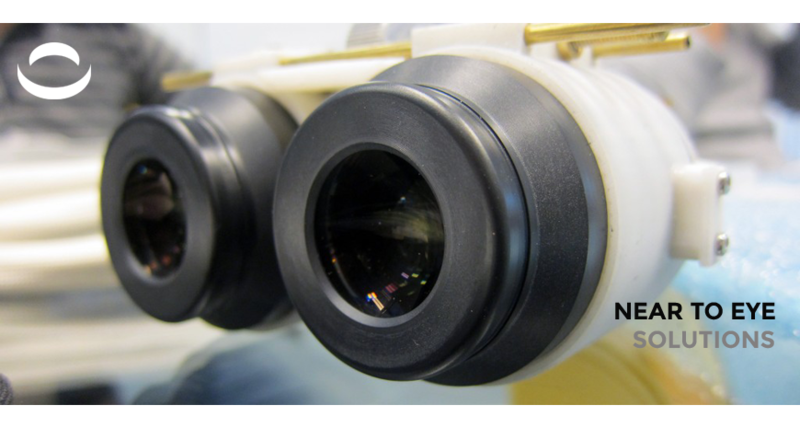 It’s high quality optics and high resolution makes it the ideal tool for research and training. 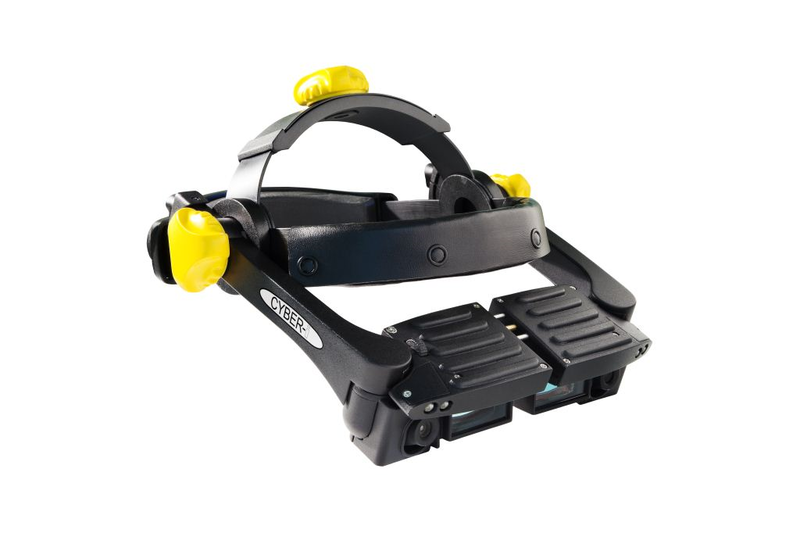 The strong and durable design allows seamless integration of various precision trackers and customization. 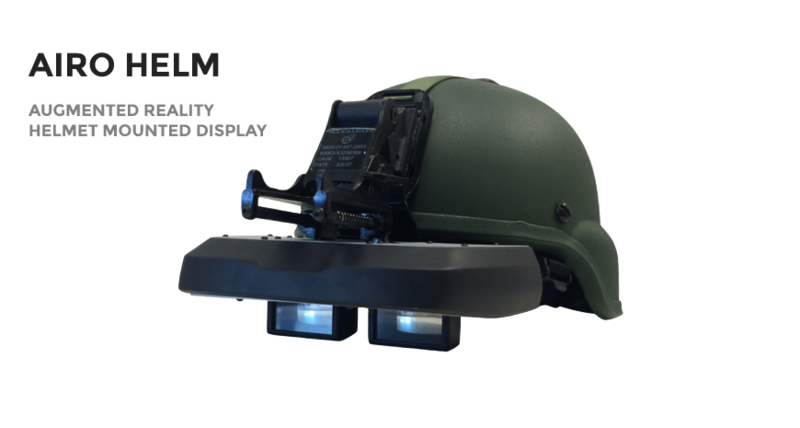 STORMCLOUD is the Simulated Enhanced Helmet Mounted Sight Display by Cinoptics in collaboration with the National Aerospace Laboratory of the Netherlands (NLR). STORMCLOUD has been created for multiple platforms and features a modular design that can be customized for different rotor wing or jet fighter simulators. The design of these Simulated HMSD’s is based on in-depth knowledge of HMSD use in real aircraft and the effects of HMSD properties on pilot performance. Cinoptics’ Hand Held ARCTIC is designed to support military operations in the field. ARCTIC provides an efficient, rapid exchange of information via camera and Augmented Reality. The robust and durable designed ARCTIC can be used under various conditions. The Cyber-I SXGA Bi-Ocular by Cybermind is compatible with HMDI out (smartphones and tablets) and is the optical solution for handsfree applications. 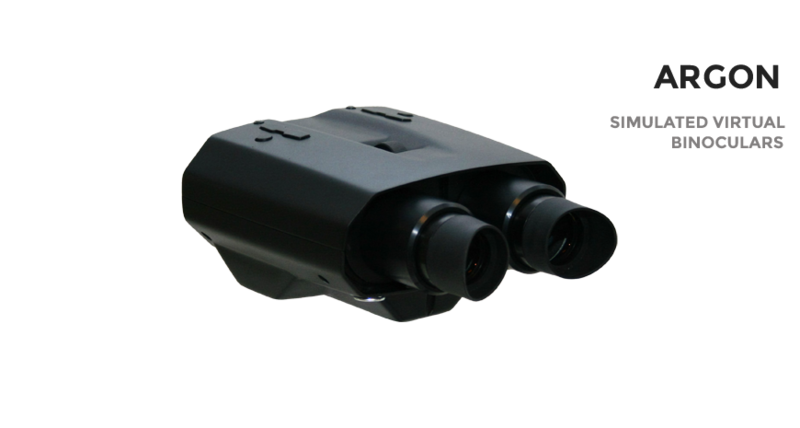 Cyber-I SXGA Monocular HMD is the first SXGA Optical See-Through Monocular with fixed camera option and 50 degrees Field of View by Cybermind. It is compatible with HDMI out (smartphones and tablets) and the optical solution for handsfree applications for the Homeland Security and Defence Industry, maintenance- and logistics applications and to support medical procedures. 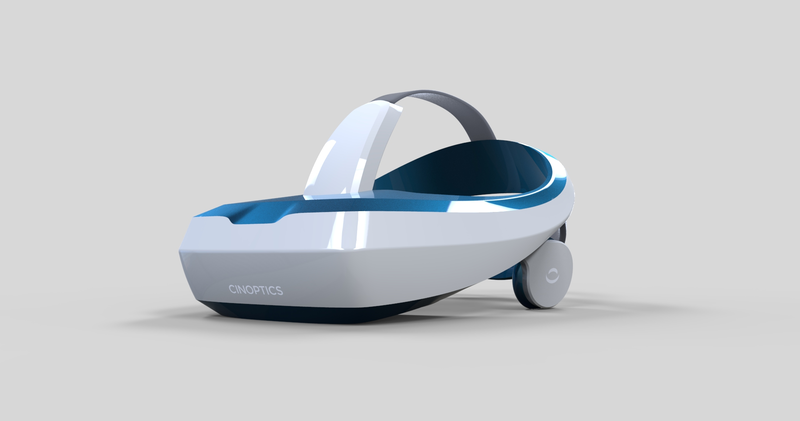 The FLCoS display technology is incorporated in Cybermind’s first Virtual Binocular model. It’s amazing 56 degrees Field of View in combination with the high resolution makes it the ideal tool for research and training applications. The VB-56SXGA allows seamless integreation of a wide range of precision trackers and supports all resolutions up to SXGA. 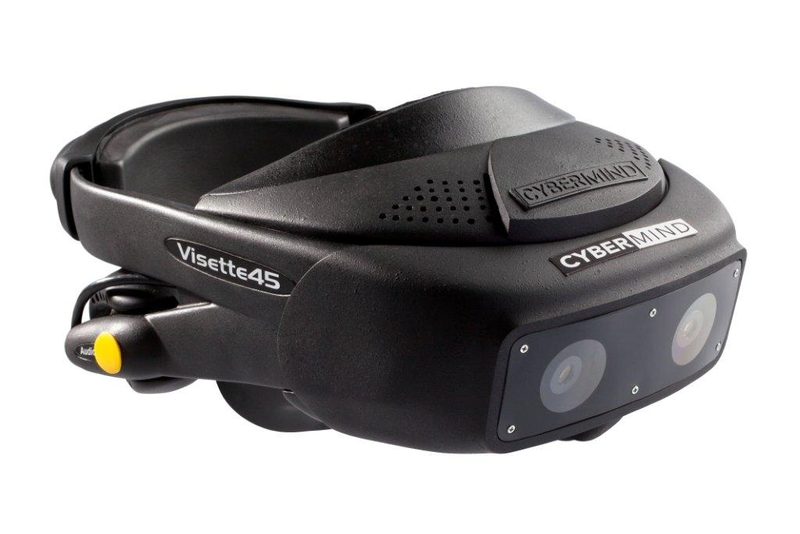 The Visette45 series by Cybermind is known as the first affordable solution in the professional Head Mounted Display market. Due to the right combination of price and quality, the Visette45 has found its way to a wide range of applications worldwide. In addition to affordability, the Visette45 proved to be a high quality alternative for Virtual and Augmented Reality applications. 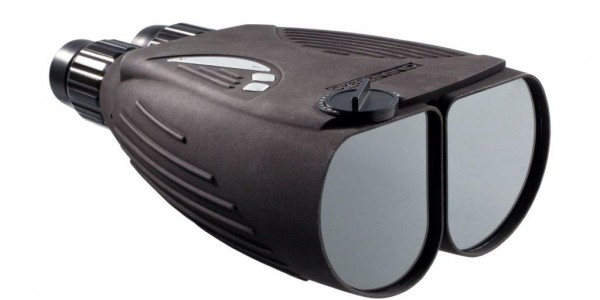 The Visette45 is a binocular-type HMD that provides full stereoscopic vision. The Visette45 is used for medical research, military training, industrial research applications, LBE systems and more. The series is available in VideoSeeThrough and SeeThrough version. 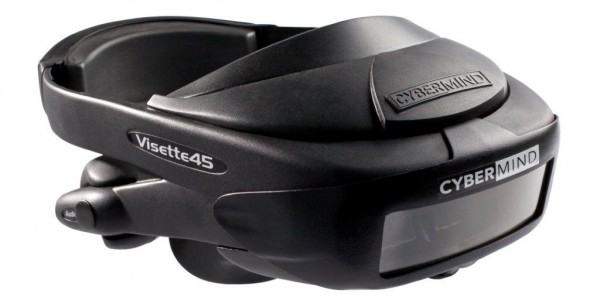 The Cybermind Visette45 SXGA HMD is also available with See Through Option. The Visette45 SXGA HMD is also available with Video See Through Option. Cinoptics Medical creates practical solutions for health care specialists and medical researchers. For several years Cinoptics Medical collaborates with various technical universities and academic hospitals on the development of medical products. The company also participates in research projects where Virtual or Augmented Reality can be useful and offer innovative solutions to clinical settings that want to increase efficiency. Regardless of product development or research, Cinoptics Medical also initiates and supports lectures, workshops and student projects. The company's belief is that inspiring a new generation will lead to ground breaking improvements that promotes human health. Cinoptics is well positioned to serve the Aviation market. 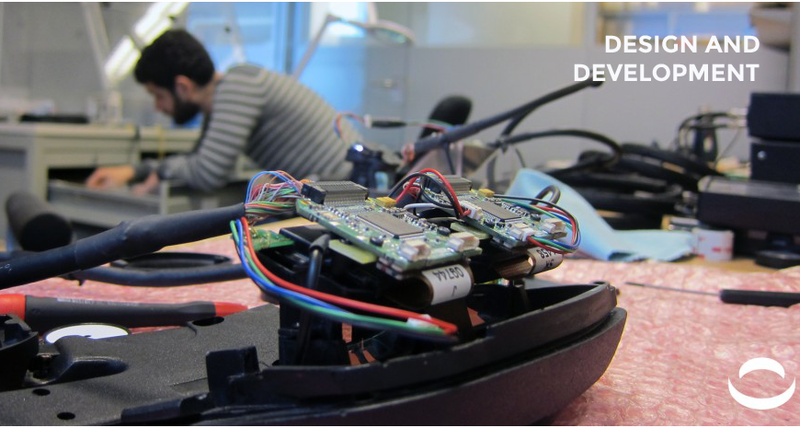 The company's expertise and proven experience makes it possible to deliver products that are directly applicable for simulation projects. Cinoptics Aviation creates flight simulations for various types of aircraft and helicopters. In collaboration with renowned Aerospace organizations, Cinoptics Aviation is developing a new generation HMD’s that meet this market’s challenging requirements. Cinoptics Defence is a market leader with extensive and proven experience in Near to Eye display solutions for the military industry. The company designs and manufactures high-end electronic optics in a wide range of Virtual and Augmented Reality applications. Cinoptics Defence provides full-service, including tracking integration, customization and system implementation. The company's relatively low-cost and lightweight products include Head Mounted products, Infantry Wearable solutions and Hand Held devices. Cinoptics Industry supports various segments in industrial environments, such as design & development, maintenance & manufacturing, order picking & production tests. The company's products are useful in the automotive industry, real estate development, logistics and in augmented applications such as furniture exposition or mapping concepts. Cinoptics N-tek program provides products and services that enable customers to create new products faster and shorten time to market introduction.